The U.S. Supreme Court will decide whether states can prosecute illegal aliens for using fraudulent information to obtain employment, the justices announced Monday. The case, which arose in Kansas, could feature prominently on the court’s docket next term, as it touches illegal immigration and will likely be heard as ballots are cast in the Democratic presidential primary. The case involves three foreign nationals — Ramiro Garcia, Donaldo Morales and Guadalupe Ochoa-Lara — who entered the country illegally. The trio used stolen Social Security numbers when applying for work in the service industry. All three were convicted of identity theft in Kansas courts. Those convictions were reversed on appeal to the Kansas Supreme Court. A four-justice majority said that a federal statute called the Immigration Reform and Control Act (IRCA) prohibits states from pursuing such prosecutions. The Kansas court held that IRCA gives the federal government exclusive power to bring prosecutions that use information from the I-9, a federal form used to confirm employment eligibility. Social Security numbers are included on the I-9. On appeal to the U.S. Supreme Court, lawyers for Kansas said the lower court’s decision is contrary to the findings of other courts — like the 9th U.S. Circuit Court of Appeals — which have allowed state prosecutions of the sort at issue here. The justices are much more likely to take a case presenting a question of law about which multiple courts disagree. Kansas also said states have an important role to play in combatting identity theft. The Trump administration urged the high court to take the Kansas case. 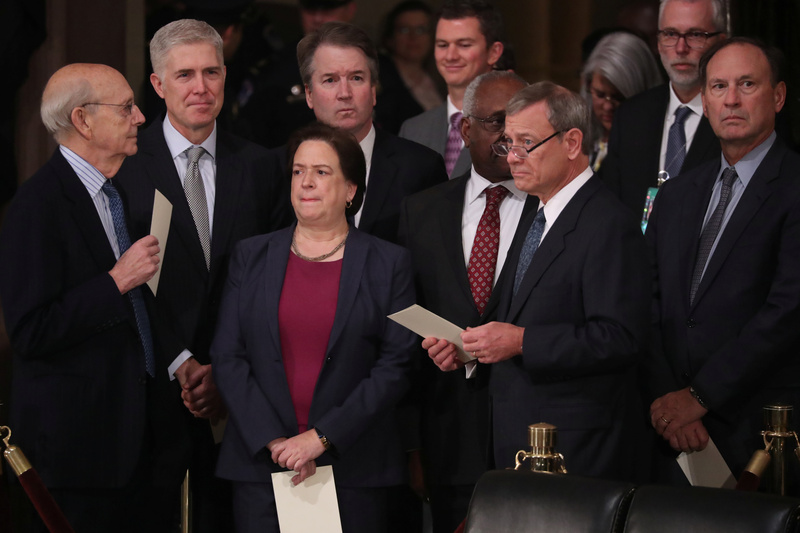 In a legal filing supporting Kansas, Solicitor General Noel Francisco warned the lower court decision would produce chaotic results and undermine the power of the states. A coalition of 10 states led by Michigan also urged the high court to grant review in the Kansas case. The justices will hear the case during the Supreme Court’s next term, which begins in October.